What is diversity? While it is a buzzword in everyday parlance and in the organizational mission statements of public and corporate institutions, do we always know what it means? While my students express support for diversity, they are often not very clear about what it means in practice and how organizations can reflect and support the diversifying public. This problem is not limited to practice. Prof. Steven Vertovec writes in the introduction to the Routledge International Handbook of Diversity Studies that the term creates much confusion and misunderstanding among academics as well. One source of confusion is the difference in usage by academics and organizations. Academics examine how the term and the ideas it connotes are constructed; they also look at the way concepts of diversity shape the material structures and practices in which they are embedded. Both academics and organizations use definitions that see diversity as any kind of demographic difference. This equalizes all categories of differences as if they all were created in the same way and had the same social implications and effects. In organizational discourses, “diversity” is assumed to have a stable meaning as a benchmark or a value. However, such discourses are often highly contradictory about its meanings and why and how we should achieve it. These discourses also simplify the processes and effects of social categorization by conceiving some people as diverse and different from the “norm” and thus to be “managed” as a source of potential problems by those who are assumed to represent the “norm.” Organizational discourses also often critiqued for simply using diversity as a façade without any strategies for increasing it or supporting employees from underrepresented groups. Scholars now argue that we should think of diversity as intersectional. This means considering everyone as being constituted by multiple categories of difference creating a unique combination. “Celebrating Diversity” is celebrating the uniqueness of us all. This combination, or intersection, shapes how we are perceived, shapes how our capabilities might have been or are being constrained, where we are in social structures, and how are included and/or excluded from public services and professional opportunities. We should also recognize that categories are dynamically reconstructed and differentiated from each other. This means that while some perceptions and understandings might seem obvious and certain, people described by them cross multiple boundaries and each category is itself heterogeneous. Many categories may shape a group’s experience without yet having a label. Universities have only started to recognize “first generation university students” in the last decade. The recent book, Hillbilly Elegy has highlighted an Appalachian subculture in the United States that has been highly insulated and marginalized with an anger that is tapped by White Nationalism. This makes for complex identities. As Cantle argues, we must avoid miniaturizing people, that is reducing them to only one broadly conceived category such as “woman,” “Roma,” “Muslim,” “Turkish,” “German,” etc., because this distorts their identities and impedes understanding and interactions as well as social integration. One is never an Albanian in Switzerland, one is always an Albanian of a specific educational and professional background, migration, residency or citizenship status, employment status, gender, sexual orientation and more. Such understanding of diversity requires more than simply checking off categories. Melissa Steyn proposes from South Africa that we develop critical diversity literacy. The term “literacy” refers to a “reading practice” that involves critical thinking skills and knowledge. Diversity literacy refers to understanding social differentiation and complexity from multiple perspectives and multiple contexts rather than from a single set of personal, cultural, and social experiences and viewpoints. “Critical diversity literacy” is an ethical orientation that takes social justice as its goal. It involves an ability to understand and analyze social relations of exclusion in their complex contexts. It also involves an ability to see through stereotypes or opinions that are assumed to be ‘common sense’ but which affirm interests and perspectives of only dominant groups in public and private organizations. In a study by Posiadlowski et al., a manager admits: “A Turkish name is an indication of a deficit. I call that a suspected deficit, because one simply assumes that he should have a deficit, so he is dropped out” from a candidate list. An awareness of this is at least a start, but we have to challenge such bias. Another common assumptions is that diversity means sacrificing meritocracy. Is it time to think that homogeneity, when it results from exclusion in hiring and promotion as it must in diversifying societies, is contrary to meritocracy? All this means that we need much more dialogue about what various differences represent in our professional and social contexts. Cantle, T. (2016). The case for interculturalism, plural identities and cohesion. In N. Mee, T. Modood, T. & R. Zapata-Barrero, (Eds. ), Multiculturalism and interculturalism: debating the dividing lines, 133-158. Edinburgh: Edinburgh University Press. Dahinden, J. (2008). Deconstructing mythological foundations of ethnic identities and ethnic group formation. Journal of Ethnic and Migration Studies, 34, 55-76. Posiadlowski, A., Gröschke, D.; Kogler, M.; Springer, C., van der Zee, K (2013). Managing a culturally diverse workforce: diversity perspectives in organizations. International. Journal of Intercultural Relations, 37, 159–175. Steyn, M. (2015), Critical diversity literacy. In S. Vertovec (Ed. ), Routledge International Handbook of Diversity Studies, 379-389. Routledge: New York & Abingdon, OX. Vertovec, S. (2015). Introduction. In Routledge International Handbook of Diversity Studies, 1-20. Routledge: New York & Abingdon, OX. 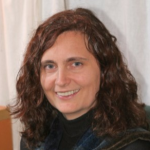 Prof. Dr. Jolanta Drzewiecka is Academic Director of the Master of Advanced Studies in Intercultural Communication at Università della Svizzera italiana in Lugano. She conducts research on construction of cultural, racial, and national differences and identities, focusing on two areas: immigrant identity and public memories. She has published her research in journals such Communication Theory, Journal of International and Intercultural Communication, Media Studies in Communication, and Communication and Critical/Cultural Studies.